The librarians are really amazed at how much activity there is in the libraries now that they have a way to record it. They are saying that they knew they were busy but just didn’t realize HOW busy. WHAT IS THE CLASS LOG? The Class Log allows a librarian/media specialist the opportunity to track whole classes that come to use the library. For example, if an English 10 teacher brings 24 students to do reesearch on the computers, all of that information can be tracked by the teacher signing in the entire class as a whole. Each student does not need to individually sign-in. Teachers:Select the teacher that is coming to the library. Reasons:Teacher selects why they are using the library. 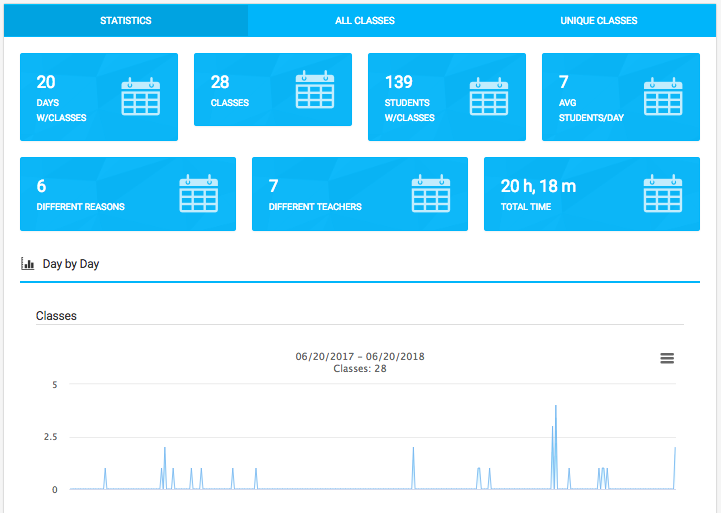 Students:Track the number of students a teacher brings. Custom Fields:Create your own custom field that allows you to track specific information pertaining to your library. +$50 per account / school year. This is additional pricing on top of the Student Log.